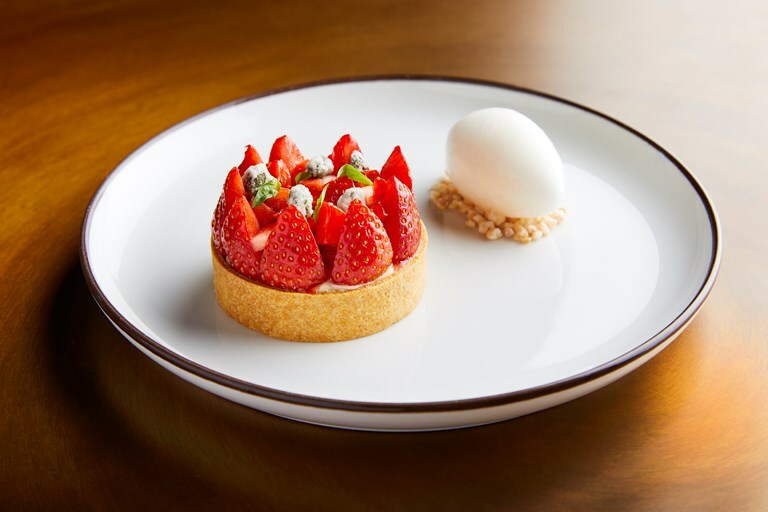 Years of development have gone into this stunning strawberry tartlet recipe from Pete Gray, from nailing the ultimate sweet pastry to the intense strawberry jelly filling. As is to be expected from a Heston Blumenthal restaurant, the kitchen at The Hind's Head use some scientific methods to obtain the perfect sorbet texture. If you'd rather stick to traditional cooking, all of the processes for the tarts themselves just require time and accuracy rather than unusual ingredients, so don't be put off giving them a go at home.